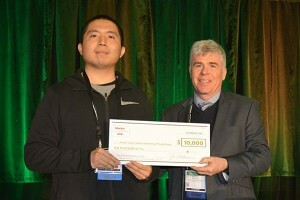 At the SPIE Advanced Lithography Symposium at the end of February in San Jose, California (US), Haoyu Yang was awarded the $10000 Nick Cobb Memorial Scholarship by SPIE, the international society for optics and photonics, and Mentor Graphics, a Siemens Business, for his potential contributions to the field related to advanced lithography. This is the first year for the Nick Cobb scholarship, which is given to an exemplary graduate student working in the field of lithography for semiconductor manufacturing. The award honors the memory of Nick Cobb, who was an SPIE Senior Member and chief engineer at Mentor. 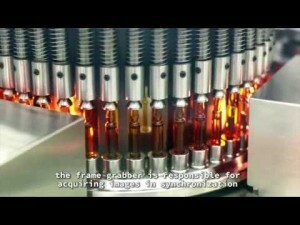 His groundbreaking contributions enabled optical and process proximity correction for IC manufacturing. Yang is currently pursuing his PhD degree in the Department of Computer Science and Engineering at the Chinese University of Hong Kong. His research interests include VLSI design for manufacturability (DFM) and machine learning. He received his Bachelor of Engineering from Tianjin University in 2015. Mentor, a Siemens business, specializes in electronic hardware and software design solutions, providing products, consulting services and support for electronic, semiconductor, and systems companies.